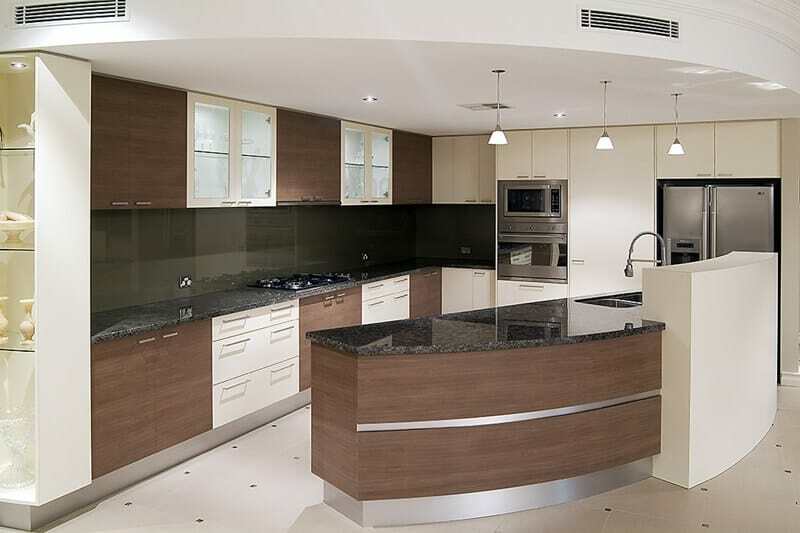 A well-designed kitchen island is the perfect addition to any custom luxury home in Perth. While the most obvious advantage of incorporating this feature into your home is the added preparation space, the benefits don’t end there. You might also integrate a sink, oven and other fixtures and appliances into the island to help streamline the cooking process. Importantly, the functionality a kitchen island provides doesn’t come at the cost of sacrificing aesthetics. With multiple materials and styles available to creative home buyers, the possibilities for your island are nearly limitless. The kitchen triangle is a design principle you can use to improve the cooking experience. Essentially, it is comprised of your oven, refrigerator and stove and the imaginary lines of that run between these appliances. Keep things efficient by ensuring the island does not block access to these three areas. Whether you’re entertaining guests or sitting down to a family dinner, there’s no denying that kitchens are busy spaces. Keep foot traffic flowing freely in and out of the room by thinking carefully about the size of the island. Avoid larger dimensions if the space doesn’t permit it. If you’re a budding Jamie Oliver, incorporate cooking appliances into your island. Your custom home should be an extension of your lifestyle, and the design of your kitchen is no exception. If you throw a lot of dinner parties, for example, you may want to opt for an island with sufficient countertop surface area for holding drinks and nibbles. Conversely, if you’re a budding Jamie Oliver, an island that features a variety of cooking appliances is bound to make your life easier. As noted, kitchen islands offer a lot of surface area to work with, but the available space is not limited to the countertop. Install shelves, drawers and cupboards to increase storage space and keep all your frequently used items and ingredients within easy reach. While soft lighting can create a pleasing ambience, it’s probably not the right choice for your kitchen island. You’re going to be spending a good deal of time cooking here, so it’s probably a good idea to lean towards bright task lighting. Recessed ceiling lights or high-hanging bulbs are a great place to start.